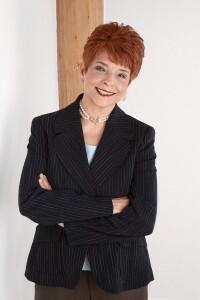 The Judy Baar Topinka Charitable Foundation’ s purpose is to assist in the provision of leadership, education, and training for young men and women with demonstrated involvement in public affairs. Contributions to support the foundation can be sent to the foundation’s account, #550006109, at Riverside Bank, 17 E. Burlington, Riverside, IL 60546 or through PAYPAL. A life-long resident of Village of Riverside, Judy Baar Topinka was a product of School District 96, attending both A. F. Ames Elementary School and then Riverside Junior High School. She graduated from the Ferry Hall School in Lake Forest in 1962 and earned a B. S. degree in 1966 from Northwestern University’s prestigious Medill School of Journalism. She was the first in her family to ever graduate from college to become a professional journalist in a predominantly male dominated business. For over eleven years, wrote hundreds of articles and columns in the Cook County suburbs as a reporter and editor for several award-winning community newspapers including the Life Newspapers, Forest Park Review, and Westchester News She then began her political career in 1980 as a State Representative after she won a contested primary election she was not expected to win against several male candidates. Serving two terms in the Illinois House of Representatives positioned Judy for a successful bid for State Senate in 1984 where she served as State Senator for a decade. On November 8, 1994, she was elected Illinois State Treasurer, becoming the first woman in Illinois history to hold the post. She made history again when she became the first woman to be re-elected state treasurer and then again when she was re-elected for a third term. During her time as treasurer, she took a business-approach to running the office developing a monumental college savings program that helped nearly $150,000 families save more than $2 billion dollars to pay for college and took control of the state’s unclaimed property division, returning over an unprecedented $400 million to the public. In addition, she became Illinois’ first woman State Republican Chairman under whose leadership was developed the first comprehensive voter integrity program in Illinois Judy was the first woman in Illinois to ever be nominated for Governor by the Republican Party. While her campaign for governor was unsuccessful, she ran it with civility, integrity, and purpose never taking any donation or gift that would otherwise compromise her values and principles. Judy never gave up on working for her fellow citizens and believed public service was the highest honor that a citizen could provide to his or her community, state, and country. In 2010, Judy was elected Comptroller, becoming the first person in Illinois history to ever hold both fiscal, constitutional office positions. She was re-elected in 2014 prior to her untimely death on December 10, 2014. Judy took pride in her Czech and Slovak heritage and always worked hard to keep relationships between the State of Illinois and Czechoslovakia especially during its rule by Communist dictatorship until the end of the Cold War. Like many people who come to the United States today, Judy spoke another language, Czech, before she spoke English. Her ethnic background allowed her to appreciate other people’s cultures and make her a champion for diversity and inclusion years before these words attained the social prominence they have today. Family was key to her success in education and public service and she never forgot the mentorship and love provided to her by her Father, William Daniel Baar, and her Mother, Lillian Mary Baar. Judy’s only agenda in public service was simply to help people, and she demonstrated that attitude to fellow Illinois citizens by her words, deeds, and actions. “She was blunt, pragmatic, unfailingly cheerful and energetic, and always willing to put politics aside to find common-sense solutions that made a difference for the people of Illinois.” (President Barack Obama). Her story from humble beginnings to high governmental office is an inspiration to us all and represents the best of the Village of Riverside, the Township of Riverside, the County of Cook, the State of Illinois, and the United States of America.